Survey finds that 84% of data center owners are seriously considering renewable energy. The data center industry is rapidly expanding and evolving as society increasingly goes digital. It's also consuming more energy. The EPA estimates that in 2006, data centers consumed 61 billion kilowatt-hours of electricity at a cost of about $4.5 billion. A recent report by the Natural Resources Defense Council found that in 2013, U.S. data centers consumed an estimated 91 billion kilowatt-hours of electricity (the equivalent annual output of 34 500-megawatt coal-fired power plants). They are expected to reach 140 billion kilowatt-hours by the end of the decade. In this environment, data center professionals said they feel “intense pressure" to reduce energy and cooling expenses, according to a new survey by Mortenson Company, one of the world’s largest data center construction firms. 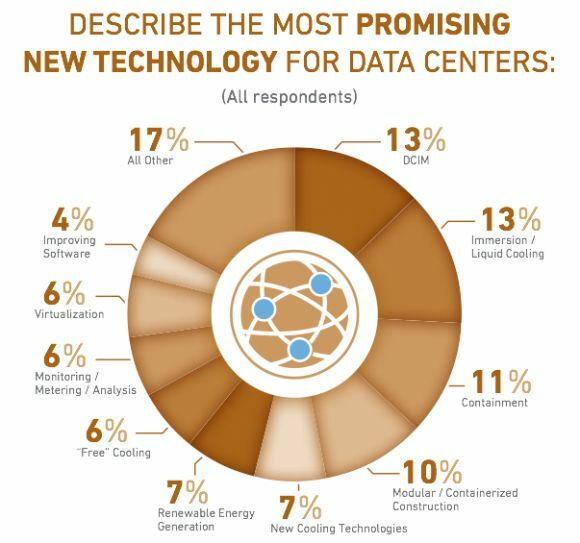 Survey participants included more than 220 corporate data center executives, data center developers and operators, and information technology providers gathered at the 2014 Data Center World Conference. Energy use has become an increasing concern as data center capacity grows. Half of all data center owners surveyed said they have recently expanded their capacity, and more than two-thirds are planning additional expansions over the next two years. The majority of data center professionals cited the increase in cloud-based services, such as Dropbox and Salesforce.com, as the primary driver of industry growth. Greater digitalization of information and greater adoption of new devices like smart phones and tablets are also increasing the demand for new data center capacity. Finding ways to meet this new demand effectively has been a challenge. “We started with a configuration which is now disorganized given the growth we have seen,” said one participant. 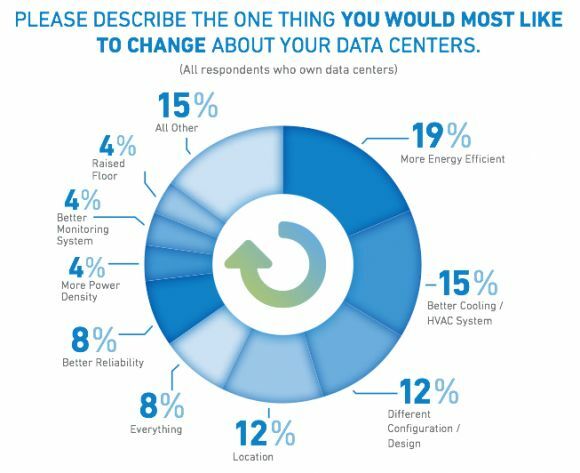 The most common thing data center owners said they would change about their existing facilities, if given the chance, would be to improve energy efficiency. Installing better cooling and HVAC systems was the second most common thing data center owners said they would change. While they can't actually change the past, data center professionals were optimistic that the industry would adopt more energy efficient practices and technologies going forward. Nearly 50 percent said they believe data center efficiency will continue to improve, with power usage effectiveness declining 25 percent from 1.7 to 1.3 over the next five years. Data center owners have expressed growing interest in leveraging LEED certification as a strategy to help lower energy consumption. Twenty-one percent of owners have already achieved LEED status; 36 percent report they will seek LEED certification on their next project. A strong majority of data center owners are also considering the adoption of renewable energy to lower costs and increase efficiency, with 84 percent reporting they would seriously consider renewable forms of energy to manage their future data center needs. Several types of renewable energy, including wind, solar and hydropower, are making increased environmental and economic sense in an industry with enormous energy needs. Renewable energy costs are dropping. Wind and solar production costs have fallen by 40 percent over the past five years and continue to decline, according to Mortenson. Data center owners can also contract for renewable energy through power-purchase agreements (PPAs) or renewable energy credits (RECs) to offset upfront costs. “Overall, a sense of optimism was shared regarding the opportunities that renewable energy may have on the growing data center carbon footprint,” according to the report. Google has already invested more than $1 billion in renewable energy globally. The internet giant is reportedly proposing a new tariff to buy renewable energy directly from utilities, which is expected to help scale clean energy adoption among data centers and other large energy consumers. While Google remains a strong renewable energy proponent, engineers recently explained why the company dropped its clean energy research and development efforts. Rather than buy renewable energy from generators, some data center operators are looking to use smaller, on-site wind and solar projects. But this model needs more development for it to become more pervasive. Other new technologies are also helping to improve data center efficiency, things like data center information management (DCIM) solutions with real-time controls, liquid-cooled cabinets and servers, and modular or containerized construction. 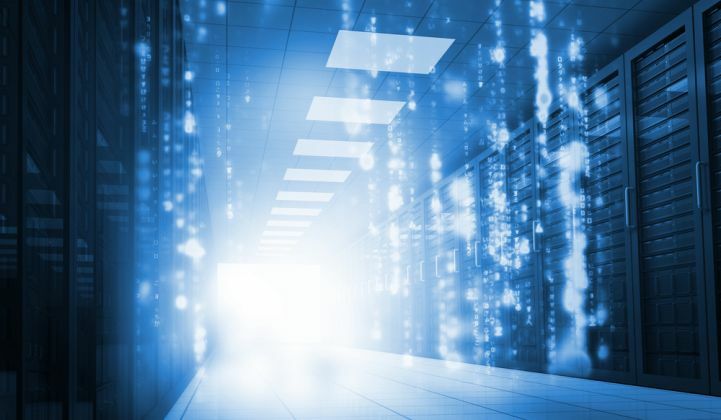 More than half of all data center professionals said they expect to see a technology “game-changer” in the next two years that will alter the fundamental nature of data centers. But there was also some disagreement on what that technology is likely to be. 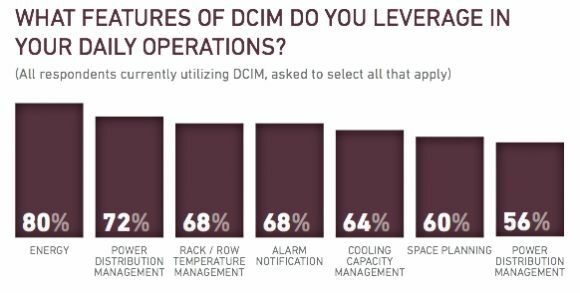 Of all the options, DCIM was cited most frequently as the most promising new data center technology. 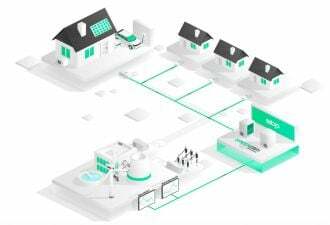 More than half of facility owners already use a DCIM platform, predominantly to manage energy and power distribution management. Beyond a specific technology, location is key. Proximity to existing headquarters, fiber cables and a high-caliber workforce were strong considerations in determining where data center owners locate their facilities. But the greatest number of respondents (32 percent) said that power and cooling costs were the biggest factor.